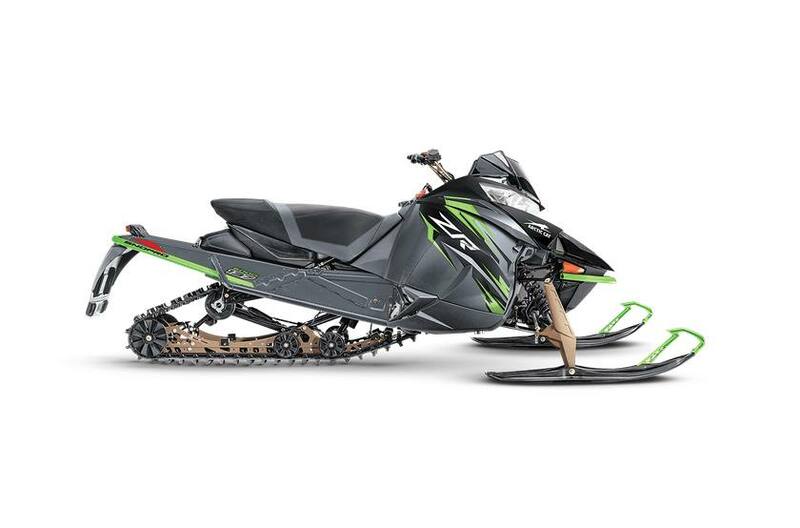 ZR 6000 Sno Pro: Powered by the 6000-Series 599cc C-TEC2™ engine with Dual-Stage Injection (DSI) that leads the 125-HP class in performance. Lowered Ride Height and 1.0" Ripsaw™ Track : ZR Sno Pro is built to explore, and designed to turn every trail into a thrill ride. Engine Lineup: Choose between the 6000 or 8000 C-TEC2™ engine families to power your ZR Sno Pro — both designed and Built by Arctic Cat® in St. Cloud, Minn.
5.5" Race-Height Windshield: A lower-profile, race-ready windshield gives you a new level of visibility. Estimated Dry Weight: 504 lbs. 15 in. x 137 in. x 1 in.